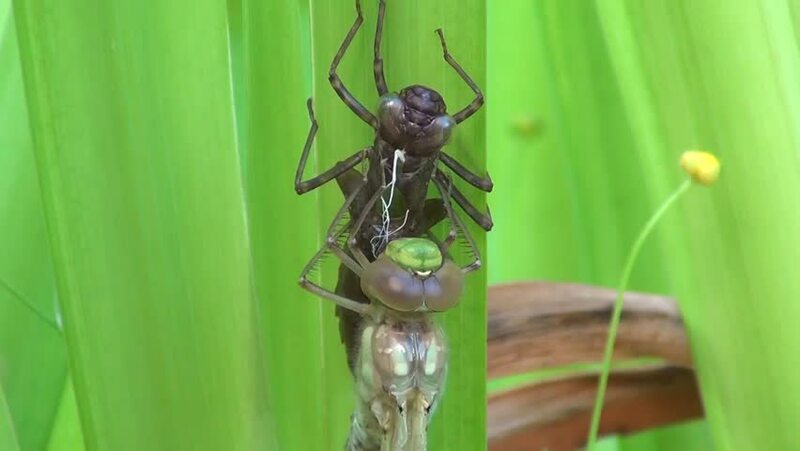 hd00:13Damselflies / dragonflies - Odonata. Damselflies and dragonflies are insects in the order Odonata. hd00:20A male Slaty Skimmer (Libellula incesta) dragonfly clings to a reed in a marshy area in spring.